In 2013, this historic estate celebrates its 500th anniversary – 19 successive generations of winegrowers in the Mellot family. Today Alphonse Jr. is in total charge, having taken over the reigns from his father Alphonse Sr. fully five years ago. The property, known as La Moussiere, is now at the height of quality for white wines world-wide. All farming is organic and certified biodynamic, with an elite team in the vineyards focused on low yields and ideal ripeness. Their Sauvignons have acquired a rare precision and each parcel is well-defined, perhaps even more so with the reds. This fascination for Pinot Noir has led Alphonse, together with Vincent Geantet (of Geantet-Pansiot in Gevrey-Chambertin), to re-establish a medieval vineyard, known as Les Penitents, on the other side of the Loire River, just south of Pouilly-Fume. Varietal/Vineyard: 12h red – all Pinot Noir; 39h white – equal parts Chardonnay and Sauvignon. Owners: Alphonse Mellot Sr. with his children Emmanuelle and Alphonse Jr.
‘Cotes de la Charite’ Chardonnay, 2013…..
As the name implies, to farm these steep vineyards requires a quasi-religious devotion – a worthy charity indeed – our drinking pleasure! Pure chalky flavors with a mardi-gras of crystallized citrus fruit and soft spices – a far-cry from new world Sauvignon. Creamy richness and crunchiness – a staggering combo of exuberance and grip. 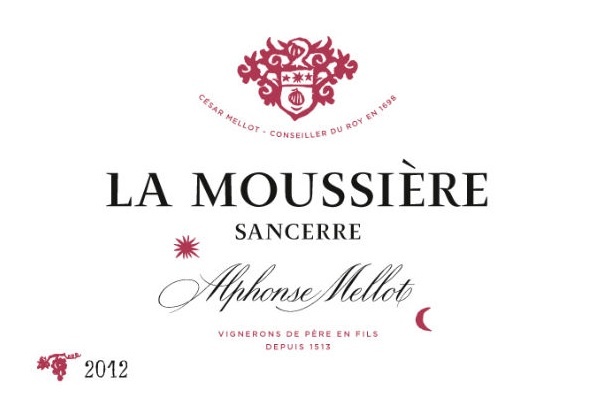 Sancerre Rose ‘La Moussiere’, 2015…..A one-night stand of Pinot Noir juice and skins – enough to give this wine a gorgeous coral hue and vibrant red-berry bouquet. Firm and fleshy, this complex Pinot Noir is chock-full of spice and wild strawberry flavors – message to Burgundy: fasten your seat-belts. Fine, mineral and chalk-laden, this is a great Pinot Noir for the global stage.